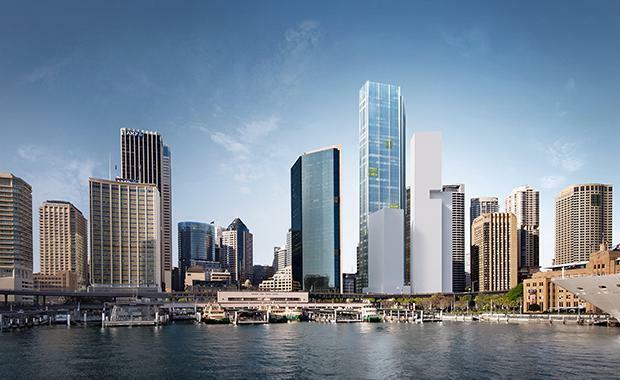 An office tower, which at 248 metres will be the highest in Australia, is the centrepiece in a revised planning proposal approved by the Central Sydney Planning Committee and the City of Sydney for Circular Quay. Lendlease's proposal, apart from the commercial office tower, includes a low rise public building, remodeling of Jackson's on George licensed premises and significant public spaces. Jonathan Emery, Managing Director of Lendlease’s Urban Regeneration business, said Lendlease had consulted widely with stakeholders, and the proposal contributes to the transformation of George Street and Circular Quay and the evolution of Sydney into a truly global city. “Lendlease is aiming to create a new international business address for Sydney with a commercial office tower that will unlock much needed floor space and meet demand for high end, sustainable offices in a revitalised setting," Mr Emery said. “The buildings will be grounded in public spaces and activated connections that welcome diners, shoppers and those looking to relax, day or night, in the iconic Circular Quay precinct. “We’ll be contributing to a livelier and more engaging city by improving pedestrian links to George Street’s new light rail streetscape via the plaza and Pitt Street through the tower’s lower levels and elevated lobby. “The development will also inspire our city’s innovators with three floors in the tower’s podium earmarked for tech startups, a key initiative for the City of Sydney." Subject to amendments being made to the Local Environment Plan and the Development Control Plan Lendlease will then submit a development application.